The IntelliVue family of networked patient monitors gives care teams throughout the hospital more of the information they need right at the patient's side presented in clear and meaningful ways. All share a common user interface and outstanding industrial design. 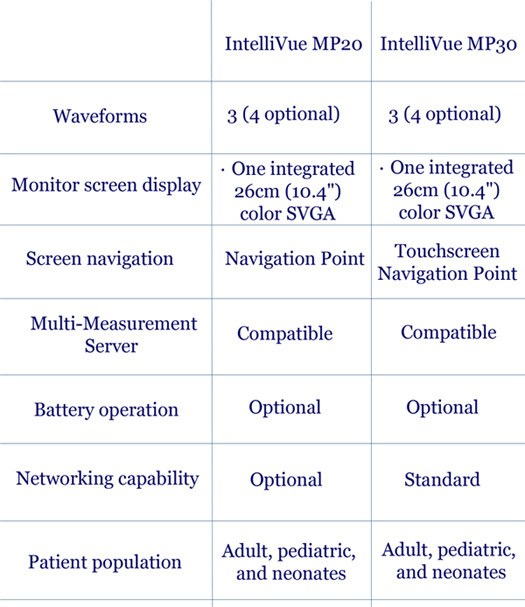 The IntelliVue patient monitors portfolio spans care environments, patient acuity levels, and clinical requirements. Multi-Measurement Module enables data continuity among monitors throughout the patient stay. * Optional integrated recorder offers convenient documentation whenever needed.